once again, my glossybox arrived at the very end of the month - i received the box on may 31st. even so, i don't really mind because i like having the subscription boxes spaced out. i know topbox will be shipping by the 10th of the month and glymm usually follows soon after. a few things i have noticed about glossybox: (1) there are very few surprises in terms of the brands or types of products included in the box - in fact, there are often repeat brands, (2) the brands featured are usually not very high end so the "luxury" aspect of the box is questionable, and (3) the sample sizes are usually very generous. the may box was no exception. this month, i decided to do things a little differently. instead of recording the unboxing on video, i opened the box on my own and tried the products for a few days first. i'm still figuring out the logistics (not a huge fan of photographing the products after using them but i don't want to set up my lighting twice) - in the meantime, please let me know if you prefer this method! curel is an inexpensive brand i used to see all the time at the drug store. for some reason, i haven't noticed it as much in the last several years so i was somewhat surprised to see it pop up in my glossybox. i don't remember ever using curel products. this is the first foot cream i've received in these beauty boxes so while i was not too impressed with the "luxury" aspect of this brand, i would have to admit i was still happy to receive this product. impressions: i was surprised to discover that i really like this foot cream! since we've been having summer-like weather, i've been wearing lots of sandals and flip flops lately - leading to somewhat dry feet. the cream applies nicely - it is thicker and heavier than "regular" lotion but not as thick and heavy as glysomed. the scent is reasonably pleasant and appropriate for feet. 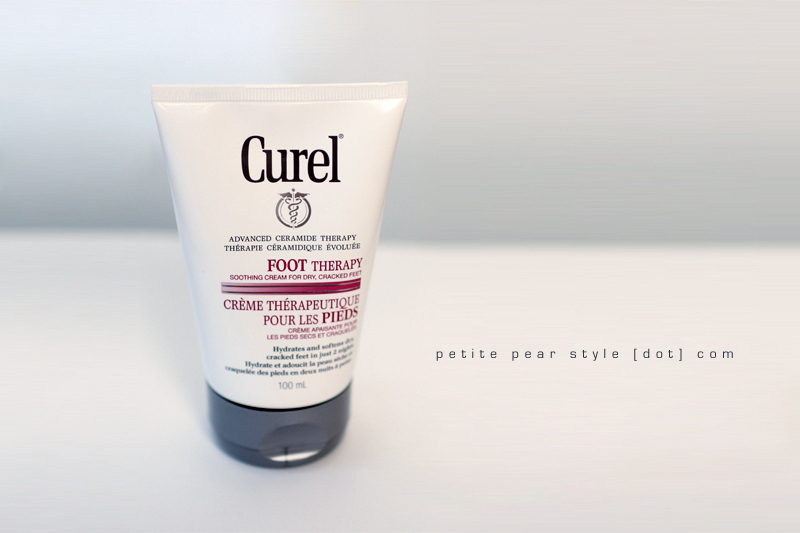 :) my favourite thing about the curel foot cream is that it absorbs much quicker than expected! i walked around right after applying the cream (because i can never seem to sit still) and my feet were already completely dry... and silky smooth to boot. pun intended. ;) i am very impressed with this cream and even better that it is available for purchase at a reasonable price. 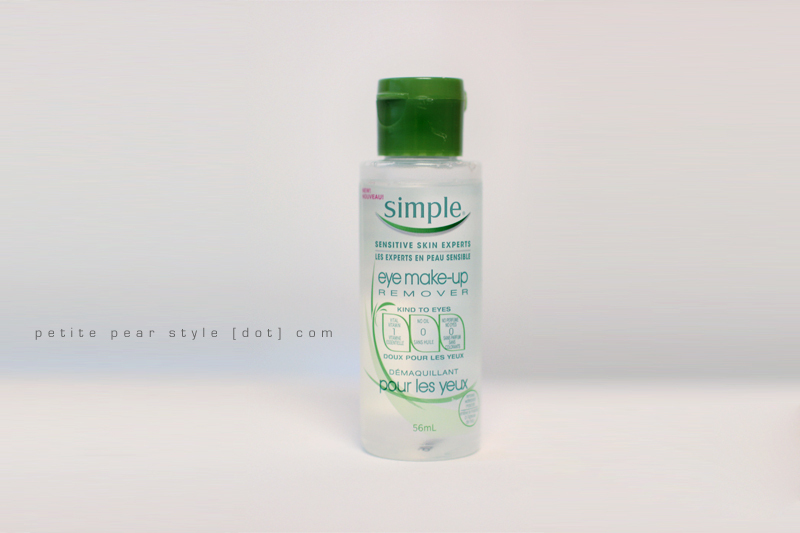 simple is an inexpensive brand that's available at shoppers drug mart and walmart. i had received the simple cleansing facial wipes in my march topbox and while i liked them, i was not blown away. i am starting to use mascara again (taking a break from lash extensions) so i will be using eye make up remover more regularly. that being said, i now have three different removers to use up (my regular l'oreal product, the make up forever sens'eyes from my march topbox, and the simple product from this month's glossybox). impressions: the simple eye make up remover was effective and took off all my eye make up and mascara. it felt nice and gentle. there are no added fragrances but i did detect a light, clean scent. i feel like i have received a lot of facial cleansers in my beauty boxes but i must be mistaken because i can't for the life of me remember any except for the vasanti brightenup! from my january glymm box. i was indifferent about receiving the simple facial wash gel plus i didn't really like that we received two simple samples in one box - not that i have anything against the brand. i just prefer more variety. impressions: this facial wash it lathers up nicely and is gentle yet effective. it also seems a little less drying than other cleansers i've tried - likely due to the gel-like consistency. i enjoyed using it but i still prefer my clean & clear daily pore cleanser - those micro scrubbers are addictive! this was probably my favourite sample in the may glossybox because i love discovering new brands. i have never heard of the boxx cosmetics line - i did a little research and found the following on the boxx website: affordability, quality-focused, practicality, naturally-enhancing, compact design and environmentally-friendly are the characteristics that set boxx cosmetics apart. boxx is canadian-designed, and all cosmetics are made in canada. we received a generous full size sample containing 4 grams of product but it looks like you have to purchase a separate magnetic compact to house the product. we received a discount code for 25% off our first order from boxx cosmetics; however, i am undecided about whether i will be making a purchase. i wasn't too impressed with the website - it's refreshing that the photos on the website are not retouched but i think the photography needs significant improvement as the current images are not flattering. 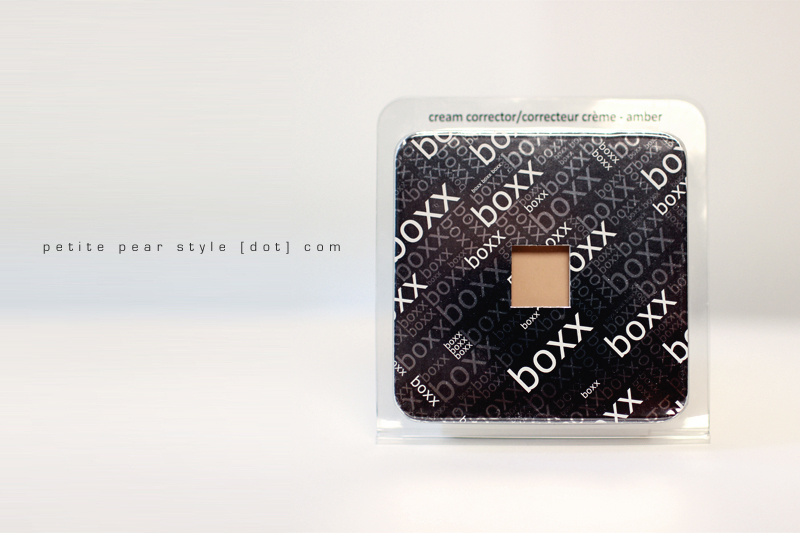 it appears that most subscribers received the cream concealer this month; however, some subscribers received a boxx make up brush or a pandora lipstick or an iman lipstick instead. since i'm on a huge lipstick kick lately, i think i would have preferred to receive a lipstick. impressions: i received this sample in the colour amber, which is for medium/tan skin. it blended in very well with my skin tone so i am very impressed that glossybox provided me with an appropriate shade! this is a cream concealer that provides more coverage than my current product (maybelline instant age rewind dark circles eraser) but with that comes a little bit more of a heavy consistency. i found i had to set the concealer with powder right away because it started to crease under my eye quite quickly. the coverage lasted reasonably well throughout the day. i like this concealer but not sure if i would repurchase it. our third full size product in the may glossybox! i use up shampoo and conditioner samples really quickly so i was happy to receive this product... even though shampoo and conditioner do not get a lot of love from many subscribers. impressions: the scent of this shampoo is really nice and it left my hair feeling squeaky clean! it did not appear to volumize my hair up top but i felt that my hair did have a little more texture, which stayed throughout the day. however, all of this could be because i slept with it in a sock bun and then tousled it with some hairspray in the morning. 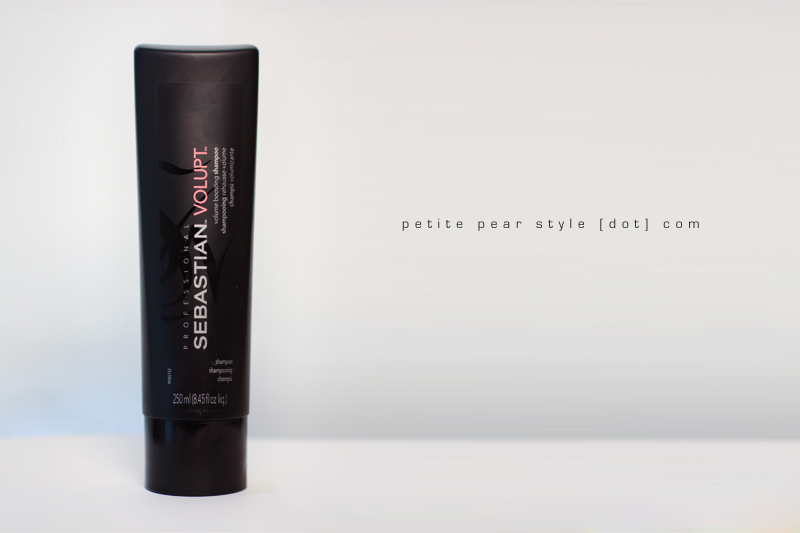 :) i'll keep experimenting with this shampoo and provide a further update. an update on the fancy labels: based on a response on the facebook page, it appears that glossybox only intended to include the labels in the inaugural box. hopefully glossybox will send us a few more in a future box. although i haven't used my existing labels, i was thinking of using them soon because the number of boxes in my tiny condo is starting to add up. the personalization on the envelope must have also been limited to the first box. one other thing i thought i would mention: although i do not mind receiving the box later in the month, i wish glossybox would be better at giving us updates on the shipping status. updates seem to only be available on facebook via replies to questions from subscribers - i use the term "update" loosely because glossybox's social media reps always replies that they have no clue when the boxes will ship. then all of a sudden, there is a status update that the boxes are being packed or we receive a shipping notification or (like this month) we receive the box in the mail with no shipping notice. in terms of my feelings towards the may glossybox, once again, i was underwhelmed by the brands but very happy with the sizes of the samples. glossybox is very consistent in terms of providing generous deluxe samples or full size products. i was pleased with the quality of the products received this month, even though the majority are lower end brands. what did you receive in your may glossybox? were you happy with the products? glossybox canada subscriptions are available for $15 per month including shipping and tax. it promises a minimum of 5 luxury samples per month and will throw in a 6th sample from time to time. if you wish to join glossybox through my invitation, i will earn glossydots and send heaps of good karma your way. ftc: i purchased the may glossybox with my own money. I don't have mine yet, terrible! I will say that I am unimpressed with the product offering particularly that everyone seems to get the exact same stuff in their box. I don't understand what the point of filling out that beauty profile is if they are giving everyone the same things. As such, I've cancelled my subscription. I've cancelled glymm as well so I'll just be getting topbox and luxe box (only until my one year subscription runs out) and julep maven. sigh. yikes, hopefully it will arrive on monday! i don't mind so much that we all get the same stuff, i just wish they were higher end brands... and without so much repetition. the corrector was customized to my skin tone but everything else was pretty generic. i'm going to stay subscribed to topbox, glymm, and glossybox for now (i'm so addicted)... been skipping julep for the last several months but i haven't bitten the bullet to cancel yet. You can use promo code GLOSSY32 to save $1.50 off your first box! I got the Pandora lipstick instead of the Boxx concealer and it is TERRIBLE. The colour literally could not look worse on me. I have to agree with keltie that they really don't seem to pay attention to the beauty profiles at all. Why would someone with a pale complexion and red hair want a neon orange lipstick?? This Glossybox was a trial for me, and I am definitely not convinced. ugh, sorry to hear. are you keeping your subscription or did you cancel it? I bought it as a one-month subscription, but I'm definitely not going to renew. I got a one-year Glymm subscription as a gift, and I'm on the TopBox wait list too, so I'll still be getting my sample fix! i think 2 boxes would definitely be enough for me... i just can't seem to decide which one to cancel! I have the entire Simple Skincare line and I love it. i'd love to try a few more of the simple products!